Sri Lanka’s climate is tropical and consists of distinct wet and dry seasons. 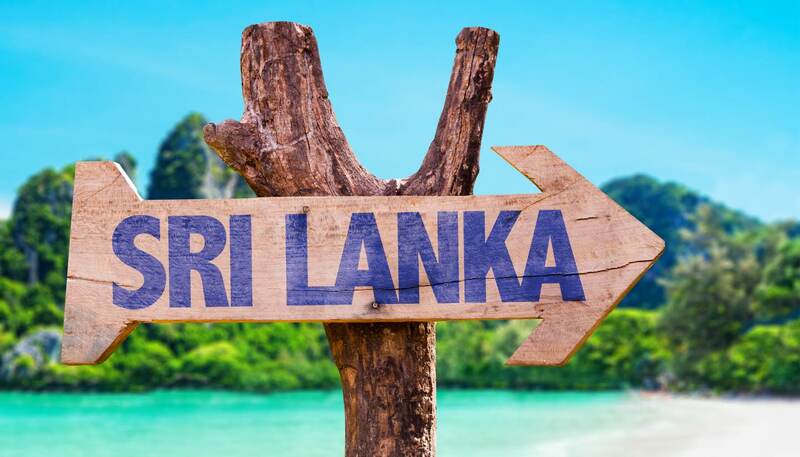 Generally speaking, the coastal areas of Sri Lanka enjoy temperatures averaging 28°C (82°F) while the upland areas are cooler and more temperate, with a yearly average around 16-20°C (60-68°F). The best time to visit Sri Lanka depends on where you go. The best time to visit the southwest region of Sri Lanka is from December to April. During this time, the weather is warm; the city of Galle on the southwestern tip enjoys an average high of 29°C (84°F) for example. However, the Yala monsoon brings abundant rainfall to the southwest region from May to September, and to November in some coastal cities. The best time to visit the northeast region of Sri Lanka is from May to September. The sun-drenched Trincomalee, a port city on the northeast coast of Sri Lanka, enjoys a balmy temperatures of 30°C (86°F) with little rain during this period. However, the Maha monsoon affects Sri Lanka’s northeast region from October to January. Sri Lanka’s largest city is hot, wet and humid year-round. The city receives abundant rainfall from April to May, then again from September to November. 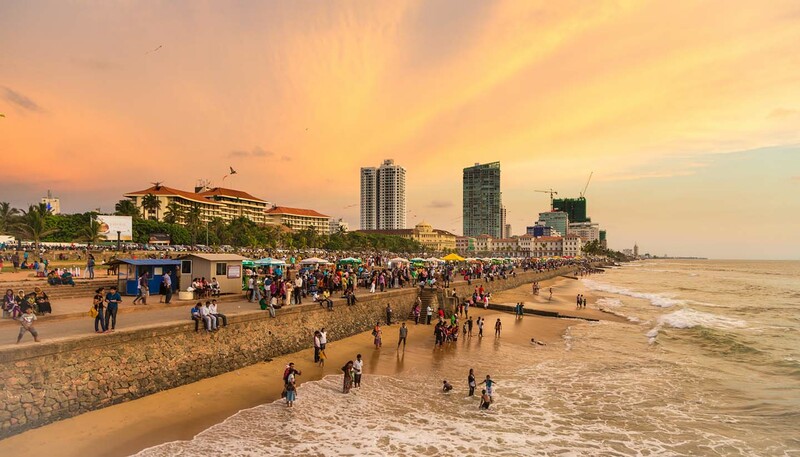 In terms of temperatures, Colombo enjoys an average high of 30°C (87°F) and an average low of 24°C (75°F) year round. Kandy is a major tourist destination in the Central Province, a mountainous area of Sri Lanka. Sitting at an elevation of 500m (1,600ft), Kandy is considerably cooler than the coastal regions of Sri Lanka with temperatures averaging between 23-26°C (73-79°F) year-round. Rainfall is expected throughout the year, but it tends to be heavy in October and November. The best time to visit Kandy is from January to March as the weather is mild and the rainfall is at its lowest. Please note that there is also an inter-monsoonal period in October and November during which rain and thunderstorms occur frequently across the island. So always pack an umbrella with you. The weather in Sri Lanka can be unpredictable during any season so depending on where in the country you're going, it's best to take layers. The central highlands can be significantly cooler throughout the year, so you'll need warmer clothes here. Lightweight rainwear is also recommended any time of year. Sri Lanka is an island off the southeast coast of the Indian state of Tamil Nadu. It is separated from India by the Indian Ocean, in which lies the chain of islands called Adam's Bridge. Sri Lanka has an irregular surface with low-lying coastal plains running inland from the northern and eastern shores. The central and southern areas slope into the hills and mountains ranges of the Central Highlands. The highest peak is Pidurutalagala, which reaches an altitude of 2,524m (8,281ft). The country’s coast consistx mainly of beaches and bays, with rocky cliffs in the northeast and southwest. Due to the southwestern location of the mountain range, precipitation is heavily weighted towards this area, with the the northern and eastern parts fall in the rain shadow of the Central Highlands. The wettest parts of the country in the south and west receive around 4,000mm of rainfall annually. There are two major national parks, in the northwest and southeast, designated as such to protect the immense biodiversity of the country’s wildlife.